C’est l’enfance de l’art | One quality, the finest. The musée Marmottan, on the edge of a pretty park in the 16th Arrondissement, is one of Paris’ overlooked little gems. It has a terrific permanent collection, mostly of Impressionists, and wonderful temporary exhibits that change just a few times a year. 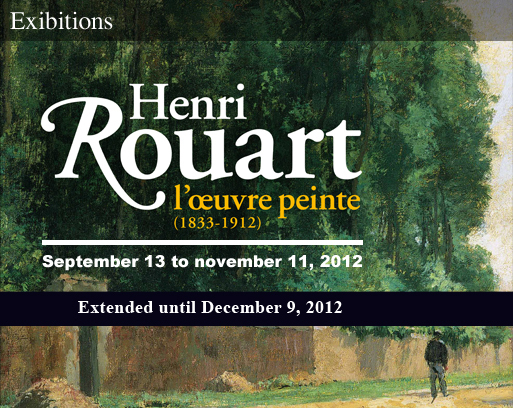 At the present time, there’s a beautiful exhibit of works by and pieces from the personal collection of Henri Rouart that’s been extended until December 9, 2012. Rouart, who lived from 1833 to 1912, was a patron of the arts, collector, an ingénieur polytechnicien (this a special program for the brightest and best engineering students in the country) and an industrialist. 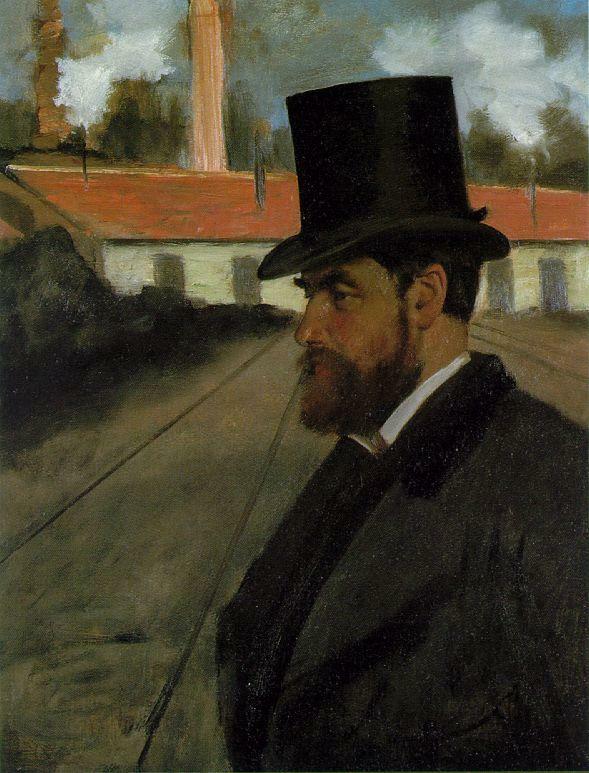 He met Degas in high school and they became fast friends. The two were also friends with Corot and Millet, who shared their knowledge generously. Under their tutelage, Rouart won prizes for his drawings. In adulthood, he did not pursue art professionally but instead became a major collector of the art of his friends as well as other great French masters: Delacroix, Courbet, Cézanne, Renoir, Morisot, Toulouse-Lautrec, and Gauguin. The Marmottan exhibit puts the emphasis on Rouart as artist, rather than collector, however. 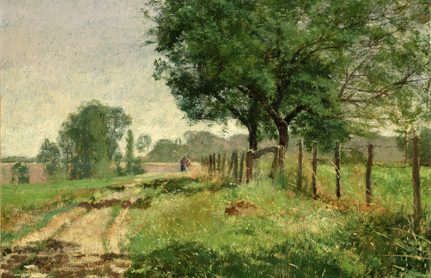 The exhibit shows an artist equally skilled in landscapes or portraits, in oils or watercolors. He had a gift for painting his Impressionist friends at home. He was no amateurish dauber, but an accomplished artist who exhibited alongside his Impressionist friends at each of the Salons. Today’s expression, c’est l’enfance de l’art (seh lahnfanse duh lar), literally means “it’s the infancy of art.” Metaphorically, however, it means “it’s the simplest thing in the world.” It’s amazing how the truly talented make art look like the simplest thing in the world. This entry was posted in Art and tagged c’est l’enfance de l’art, Edgar Degas, French art, Henri de Toulouse-Lautrec, Henri Rouart, Impressionism, Musée Marmottan Monet, Paul Cezanne, Paul Gauguin. Bookmark the permalink. Pingback: Les Pays-Bas méridionaux | One quality, the finest. Pingback: Les Impressionnistes en privé | One quality, the finest.